The first image of the shadow of the black hole in the center of M87 taken with EHT. 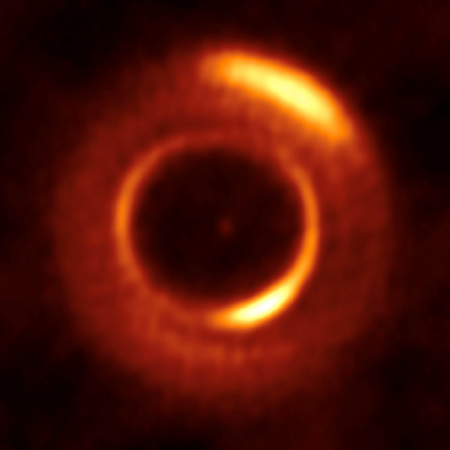 The size of the ring is only about 40 microarcseconds across — equivalent to measuring the diameter of a baseball on the surface of the moon from the Earth. This breakthrough was announced today in a series of six papers published in a special issue of The Astrophysical Journal Letters. 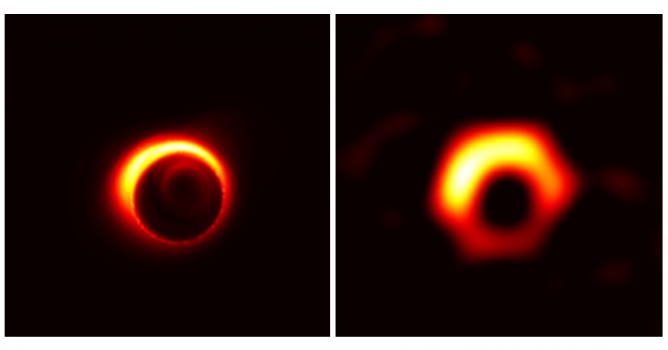 The image reveals the black hole at the center of Messier 87  The shadow of a black hole is the closest we can come to an image of the black hole itself, a completely dark object from which light cannot escape. The black hole’s boundary — the event horizon from which the EHT takes its name — is around 2.5 times smaller than the shadow it casts and measures just under 40 billion km across., a massive galaxy in the nearby Virgo galaxy cluster. 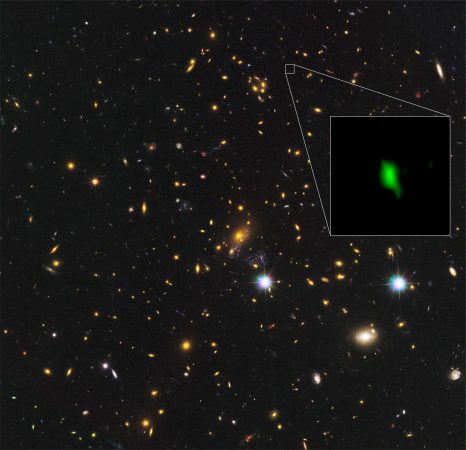 This black hole resides 55 million light-years from Earth and has a mass 6.5-billion times that of the Sun  Supermassive black holes are relatively tiny astronomical objects — which has made them impossible to directly observe until now. As a black hole’s size is proportional to its mass, the more massive a black hole, the larger the shadow. 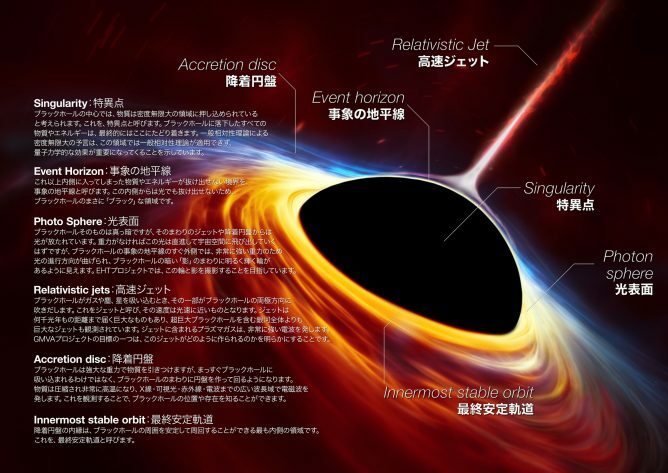 Thanks to its enormous mass and relative proximity, M87’s black hole was predicted to be one of the largest viewable from Earth — making it a perfect target for the EHT.. The EHT links telescopes around the globe to form an Earth-sized virtual telescope with unprecedented sensitivity and resolution  Although the telescopes are not physically connected, they are able to synchronize their recorded data with atomic clocks — hydrogen masers — which precisely time their observations. These observations were collected at a wavelength of 1.3 mm during a 2017 global campaign. Each telescope of the EHT produced enormous amounts of data – roughly 350 terabytes per day – which was stored on high-performance helium-filled hard drives. 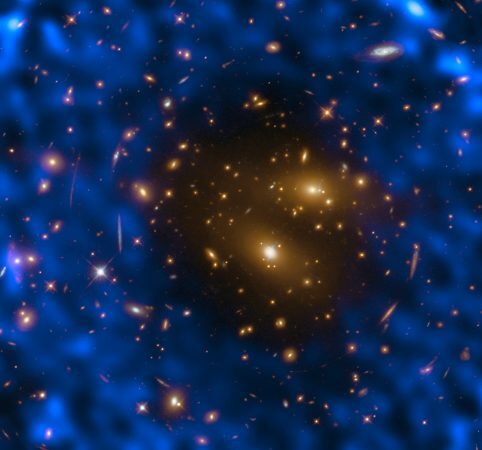 These data were flown to highly specialised supercomputers — known as correlators — at the Max Planck Institute for Radio Astronomy and MIT Haystack Observatory to be combined. They were then painstakingly converted into an image using novel computational tools developed by the collaboration.. The EHT is the result of years of international collaboration, and offers scientists a new way to study the most extreme objects in the Universe predicted by Einstein’s general relativity during the centennial year of the historic experiment that first confirmed the theory  100 years ago, two expeditions set out for the island of Príncipe off the coast of Africa and Sobral in Brazil to observe the 1919 solar eclipse, with the goal of testing general relativity by seeing if starlight would be bent around the limb of the sun, as predicted by Einstein. In an echo of those observations, the EHT has sent team members to some of the world’s highest and isolated radio facilities to once again test our understanding of gravity.. 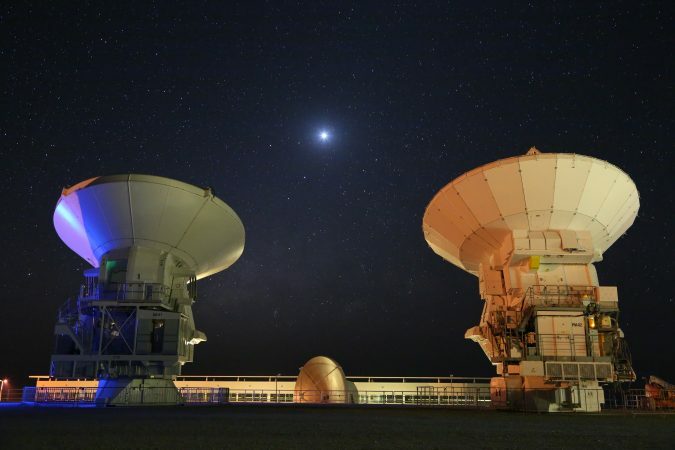 The EHT observations use a technique called very-long-baseline interferometry (VLBI) which synchronizes telescope facilities around the world and exploits the rotation of our planet to form one huge, Earth-size telescope observing at a wavelength of 1.3mm. VLBI allows the EHT to achieve an angular resolution of 20 micro-arcseconds — enough to read a newspaper in Singapore from a sidewalk café in Tokyo  Future EHT observations will see substantially increased sensitivity with the participation of the IRAM NOEMA Observatory, the Greenland Telescope and the Kitt Peak Telescope.. The telescopes contributing to this result were ALMA, APEX, the IRAM 30-meter telescope, the James Clerk Maxwell Telescope, the Large Millimeter Telescope Alfonso Serrano, the Submillimeter Array, the Submillimeter Telescope, and the South Pole Telescope  ALMA is a partnership of the European Southern Observatory (ESO; Europe, representing its member states), the U.S. National Science Foundation (NSF), and the National Institutes of Natural Sciences(NINS) of Japan, together with the National Research Council (Canada), the Ministry of Science and Technology (MOST; Taiwan), Academia Sinica Institute of Astronomy and Astrophysics (ASIAA; Taiwan), and Korea Astronomy and Space Science Institute (KASI; Republic of Korea), in cooperation with the Republic of Chile. APEX is operated by ESO, the 30-meter telescope is operated by IRAM (the IRAM Partner Organizations are MPG (Germany), CNRS in France and IGN in Spain), the James Clerk Maxwell Telescope is operated by the EAO, the Large Millimeter Telescope Alfonso Serrano is operated by INAOE and UMass, the Submillimeter Array is operated by SAO and ASIAA and the Submillimeter Telescope is operated by the Arizona Radio Observatory (ARO). The South Pole Telescope is operated by the University of Chicago with specialized EHT instrumentation provided by the University of Arizona.. Petabytes of raw data from the telescopes were combined by highly specialized supercomputers hosted by the Max Planck Institute for Radio Astronomy and MIT Haystack Observatory. Locations of the telescopes making up the EHT in the 2017 observing campaign. 1. ↑ The shadow of a black hole is the closest we can come to an image of the black hole itself, a completely dark object from which light cannot escape. The black hole’s boundary — the event horizon from which the EHT takes its name — is around 2.5 times smaller than the shadow it casts and measures just under 40 billion km across. 2. ↑ Supermassive black holes are relatively tiny astronomical objects — which has made them impossible to directly observe until now. As a black hole’s size is proportional to its mass, the more massive a black hole, the larger the shadow. 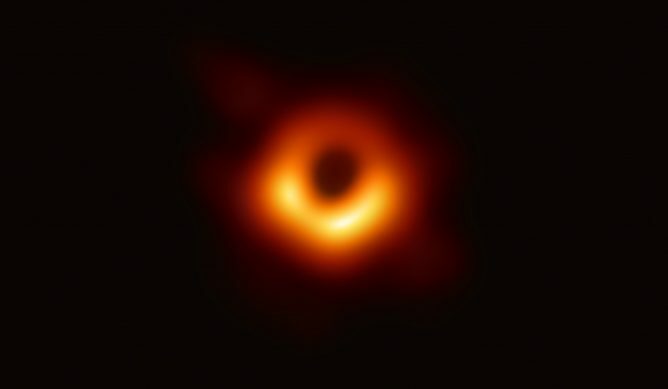 Thanks to its enormous mass and relative proximity, M87’s black hole was predicted to be one of the largest viewable from Earth — making it a perfect target for the EHT. 3. ↑ Although the telescopes are not physically connected, they are able to synchronize their recorded data with atomic clocks — hydrogen masers — which precisely time their observations. These observations were collected at a wavelength of 1.3 mm during a 2017 global campaign. Each telescope of the EHT produced enormous amounts of data – roughly 350 terabytes per day – which was stored on high-performance helium-filled hard drives. 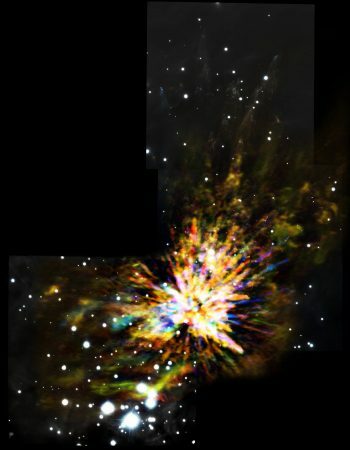 These data were flown to highly specialised supercomputers — known as correlators — at the Max Planck Institute for Radio Astronomy and MIT Haystack Observatory to be combined. They were then painstakingly converted into an image using novel computational tools developed by the collaboration. 4. ↑ 100 years ago, two expeditions set out for the island of Príncipe off the coast of Africa and Sobral in Brazil to observe the 1919 solar eclipse, with the goal of testing general relativity by seeing if starlight would be bent around the limb of the sun, as predicted by Einstein. In an echo of those observations, the EHT has sent team members to some of the world’s highest and isolated radio facilities to once again test our understanding of gravity. 5. ↑ The East Asian Observatory (EAO) partner on the EHT project represents the participation of many regions in Asia, including China, Japan, Korea, Taiwan, Vietnam, Thailand, Malaysia, India and Indonesia. 6. 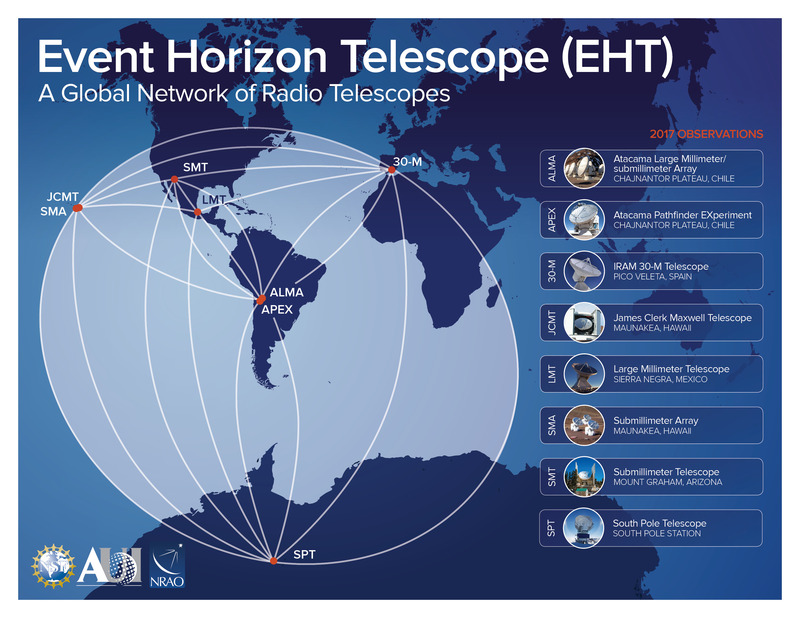 ↑ Future EHT observations will see substantially increased sensitivity with the participation of the IRAM NOEMA Observatory, the Greenland Telescope and the Kitt Peak Telescope. 7. 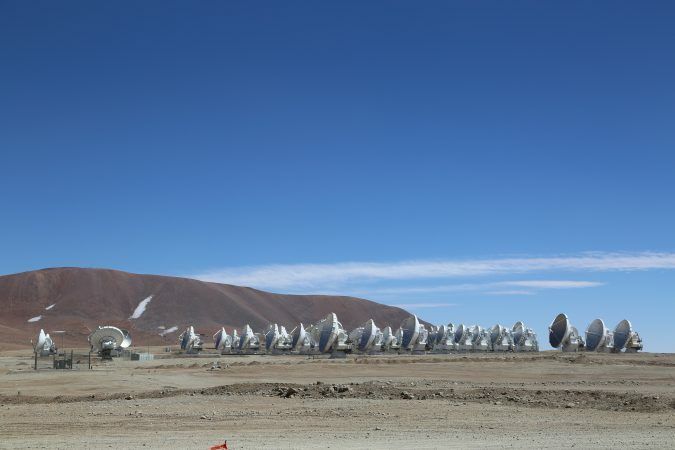 ↑ ALMA is a partnership of the European Southern Observatory (ESO; Europe, representing its member states), the U.S. National Science Foundation (NSF), and the National Institutes of Natural Sciences(NINS) of Japan, together with the National Research Council (Canada), the Ministry of Science and Technology (MOST; Taiwan), Academia Sinica Institute of Astronomy and Astrophysics (ASIAA; Taiwan), and Korea Astronomy and Space Science Institute (KASI; Republic of Korea), in cooperation with the Republic of Chile. APEX is operated by ESO, the 30-meter telescope is operated by IRAM (the IRAM Partner Organizations are MPG (Germany), CNRS in France and IGN in Spain), the James Clerk Maxwell Telescope is operated by the EAO, the Large Millimeter Telescope Alfonso Serrano is operated by INAOE and UMass, the Submillimeter Array is operated by SAO and ASIAA and the Submillimeter Telescope is operated by the Arizona Radio Observatory (ARO). 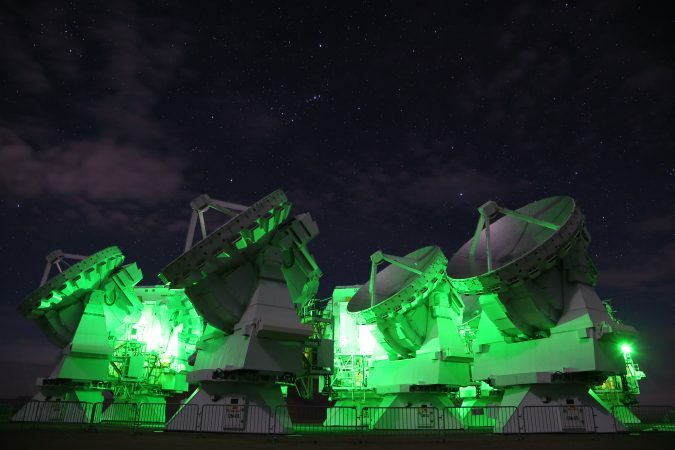 The South Pole Telescope is operated by the University of Chicago with specialized EHT instrumentation provided by the University of Arizona. Taking the First Picture of a Black Hole  - What is a black hole?